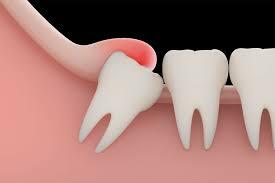 Wisdom teeth are also known as your “Third Molars.” They generally come in during the late teens or early 20s. People usually have four wisdom teeth, in total. However, it is not uncommon for some people to have less than four, more than four, or none at all! Difficult to clean with proper home care. Appear to not be helpful and/or functional teeth. At Montana Roots Dental Care, we evaluate the third molars very early and monitor them at all stages of development. If tooth extraction is determined to be the best plan of care, we can extract them at the optimal time, before full root formation. The best time to extract them is generally in the teenage years, and sometimes in the early 20s. Removing wisdom teeth at the ideal time can decrease the risk of post-op problems. Do You Refer Patients To Specialists To Have Wisdom Teeth Removed? Sometimes the removal of wisdom teeth can easily be done in our office. Other times, it is best to have a specialist (Oral Surgeon) evaluate them. This is due to the location of the tooth in relation to other structures in the jaw. Also, some people prefer to be sedation during the extraction, which is an option at a specialist’s office. Are There Alternatives To Wisdom Teeth Extraction? You do not always need to extract third molars. Sometimes, the dentist will determine that it is okay to leave them in. However, if no treatment (teeth are left in the mouth) is chosen, we recommend continued monitoring of the teeth to make sure they do not become an issue or a bigger problem in the future. Because many patients have different insurance and coverage, the cost of wisdom teeth removal is extremely variable. We are able to give patients a complete breakdown of their insurance coverage, deductible, and total out-of-pocket cost for the extraction. If you think you need your wisdom teeth removed, please contact us, and we will try to fit you into our schedule as soon as possible. Give us a call (406) 442-0282.